... one of my fave things are sets of drawers! my Dad had collected much of the same stuff I collect now! came from my Grandma's Singer sewing machine. 112 cms tall cabinet with 24 drawers. that you sometimes forget you owned! Hope you're having a lovely Blogtoberfest weekend! They are all lovely. I have a thing for drawers and dressing tables too. I have run out of space to put them though! Lovely seeing your collections. 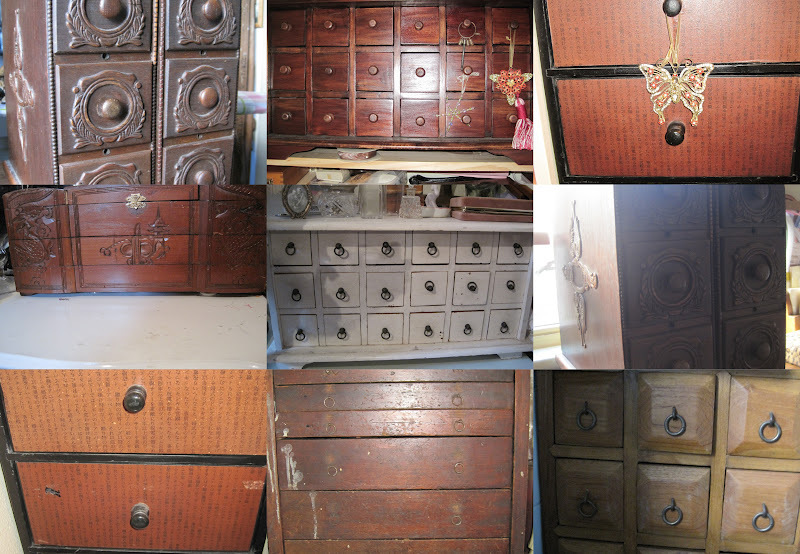 Drawers are a bit of a favourite with me too, love hiding little things inside!! I'm wondering what I can photograph as a collection for Blogtoberfest, hmmm ... ! !